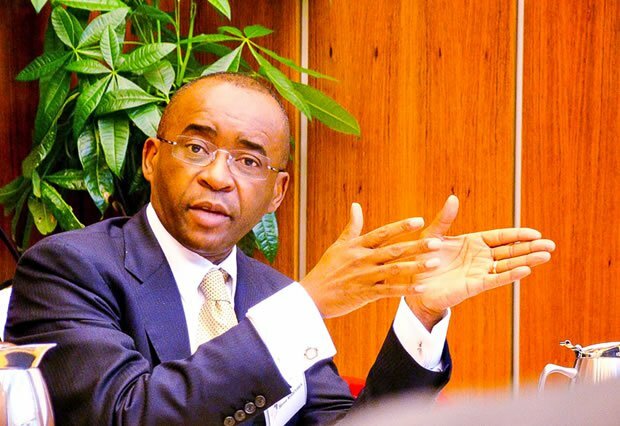 Did Strive Masiyiwa Lie About His Political Ambitions? Prophet Emmanuel Makandiwa, the leader of the United Family International Church (UFIC) in July last year claimed that President Robert Mugabe would be succeeded by a Zimbabwean based abroad. Most people in Zimbabwe started hand picking people whom they wanted to lead the country who are based outside of the country. According to the prophecy Makandiwa told his congregants that he was “seeing a person coming from outside, who was running towards the people of Zimbabwe”. “This person is running in the opposite direction to people, who are running towards him, I see a spider and this spider is following this person, who is the chosen one to lead the people,” he said. Most people believed the prophecy was talking about Strive Masiyiwa, the Econet Wireless founder and Chairman, who was once an MDC T’s advisor. Dr Masiyiwa was quick to point out that he was not interested in politics, not in the past, not now, and not in the future. History has a different story to tell about Dr Masiyiwa political history. According to wikileaks ,the Econet founder was the one who floated the idea of a Government of National Unity. According to the leaks Strive Masiyiwa briefed Pretoria PolCounselor and Harare PolEcon chief August 7 on ZANU-PF-MDC negotiations. According to Masiyiwa, there is as of now no draft agreement between the two sides. The WikiLeaks documents revile that Masiyiwa is quietly floating an idea to shift executive power from President Mugabe to a “technocratic” Prime Minister. To get Mugabe to accept the deal, Mugabe would remain President until 2010 with some power over the security apparatus, but the Prime Minister would run the economy and get the country back on its feet. All parties would work together to draft a new constitution. Masiyiwa was open to ideas on who best to sell the plan, but suggested new UN Secretary General Ban Ki-moon, working through an envoy like former Malaysian PM Mahathir, as possible mediators. We cannot comment on the merits of the plan, but find it encouraging that senior Zimbabwean exile businessmen are discussing solutions to their country’s political and economic crisis. Embassy Harare notes that the concept is increasingly in circulation in Harare and may not require outside intervention. According to the draft by Masiyiwa, Mugabe gets the extension of his presidential term to 2010, but would share power with a “technocratic” Prime Minister during the 2007-10 period. The PM would have to be acceptable to 85 percent of the parliament, thus requiring opposition MDC support, and could only be removed by an 85 percent vote in parliament. Bennett is on record saying Masiyiwa was now controlling access to Tsvangirai “for his own purposes” and calling all the shots, including whether or not Tsvangirai returned to Zimbabwe after he fled to South Africa because of the violence that engulfed the country in the run-up to the presidential elections run-off. Dr Masiyiwa may not be interested in politics today and in the future but in 2008 he played a silent a roll in the Government of National Unity that’s according to the wikileaks documents. You can find all the wikileaks Docs here.